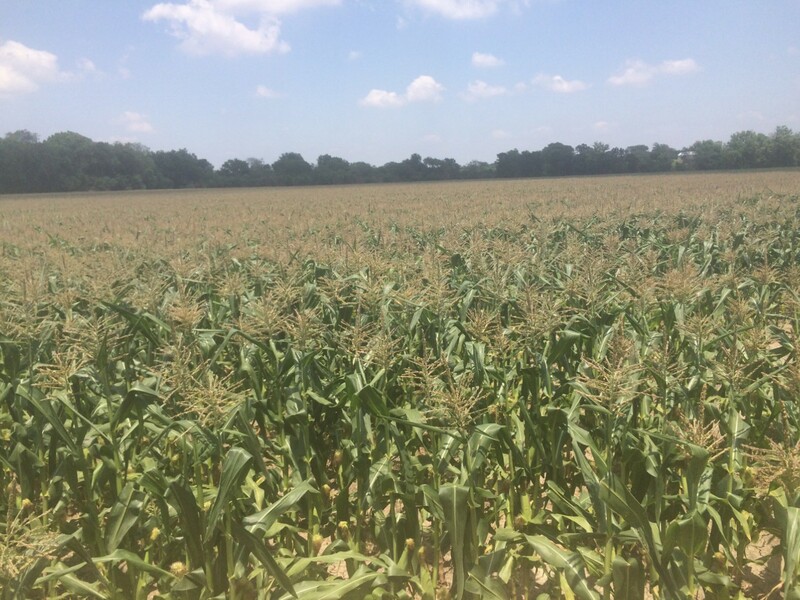 The 4th day of June has come and gone and we have yet to update you on this year’s sweet corn. The anticipation this past month has been considerably different from years past. Would record rainfall prevent a productive crop? Was the corn even planted or were the fields too wet to access? Today I took a drive towards the cornfield and was presented with an impassible creek. I saw for myself what is blocking our dad from getting anywhere near the field. A creek overfilled with rushing water. Do we take our dad’s confident reply and alert you of the mid June readiness or let the creek recede and get back to you in a couple of weeks? One obstacle course and hundreds of mosquitos later I had reached the field via foot. I was overcome with a huge smile and childlike behavior. I am already planning my very near future. It was a beautiful sight with corn galore. Mid June it is and we look forward to seeing you then. We love your corn. Will it be ready soon? We drive over from Madill. Corn available starting tomorrow morning. Be sure to follow us on Facebook at Fuhrmann Sweet Corn for more updates.